One of the benefits of getting married in the information age is that there’s no shortage of free advice available online. Millions of people have gotten married before you and quite a few of them have decided to blog about it. The only downside to such information however is that not all of it is true. Between the myths, misconceptions and superstitions, there’s no shortage of ridiculous ideas surrounding the subject of how to plan that perfect wedding. Here are ten popular wedding myths that you’d be mad to take seriously. It’s been decades since anyone took this rule seriously. It’s your wedding, you can wear whatever you want. The most popular alternatives to white include pink and lavender. There’s no rule that says you have to stick to a single color either. Plenty of brides liven up their dresses with boldly colored sashes and embroidery. There’s no such thing as a perfect wedding. Humans are not perfect creatures and it follows that any event involving them isn’t going to be perfect either. The myth of the perfect wedding is something that sends many brides into a tailspin. Focus on enjoying your day, leave perfection for the movies. First off, you probably can’t. And secondly, attempting to do so is going to drive you up the wall. Things tend to get pretty hectic during the months leading up to a wedding. And the last thing that you want to be doing is running around on an empty stomach. Your groom loves you the way you are, choose a dress that you can fit into the day you buy it. There’s nothing quite like an outdoor wedding but unfortunately, blue skies are very much a requirement. And when you don’t get one, you can easily be left out in the rain, literally. Regardless of what any venue owner tells you, freak rain showers do happen. Always have a back up venue. In the very least, it will save you worrying about it. What the bride wants, the bride should get. But try not to say the heck with everyone else in the process. When making decisions, don’t forget to think about the guests. Don’t leave them standing around all day while you take pictures. Don’t choose the weekend that people generally spend at the beach. Don’t choose bridesmaid dresses that will mortify your bridesmaids. In other words, don’t turn into Bridezilla. This is nothing but an archaic superstition. It’s also something that less and less people take seriously these days. Many people argue that seeing each other the morning of the wedding can actually lead to a greater feeling of intimacy. After all, it offers the bride and groom a chance to be themselves without a hundred people staring at them. With the economy showing no signs of improving, it’s not uncommon for brides to expect major discounts on venues and wedding services. Contrary to popular belief however, weddings are just as popular today as they’ve ever been. Discounts are occasionally possible, but if you plan on getting married on a Saturday, forget about it. There’s no shortage of smart ways to save money on your wedding but unfortunately, hiring your friends isn’t one of them. Professional photographs require more than a fancy camera. And professional music requires more than an iPod. Unfortunately, if you want professional services, you need to pay professionals. It’s not uncommon for the brides parents to pay for the wedding but it’s by no means obligatory or to be expected. These days, it’s far more common for couples to pay for the big day themselves. 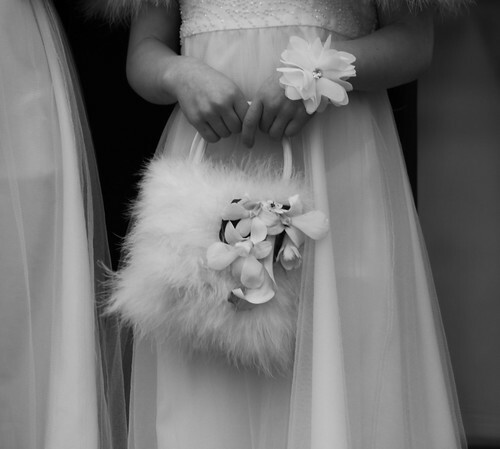 The brides parents are obviously going to want the best for their daughter but that doesn’t mean that they’re going to be willing to go broke in the process. Finally, we have the myth that suggests that certain people should automatically go on the guest list regardless of how you feel about them. Perhaps, they invited you to their wedding. Or perhaps, they’re a family friend and it would be considered disrespectful not to invite them. The reality is that your wedding is just that, yours. And other than the groom, you don’t owe anybody an invite. Today's guest post is courtesy of Jake Tyler. He has constructed many wedding tents over the years and has had to face some strange situations, with people following crazy wedding myths of their own. Apart from his professional commitments, he also blogs about various issues.